Merry Christmas, B Moment listeners! I’m not in the studio today, but I am thinking about you! This is the day that the King of Kings was born, and we rejoice because he still lives on. Today, I am thinking about how Jesus came into this world and how he left it. We know that the angel of the Lord appeared to Mary and told her that she would bear a son who would be called Son of the Most High. Yet Jesus’ beginnings were very humble. He was born in a stable; he first laid his head in a manger, or what is also known as an animal feeding trough. I read once that a pastor said being born in a stable doesn’t seem fitting for a king or Son of the Most High, but it is a perfect place for the lamb of God who came to take away the sins of the world. Jesus’ humble beginnings make him accessible to any man who chooses to seek him. During the final week of Jesus’ life, he also rode in on a donkey and colt to bring salvation to the world. Jesus could have chosen a different set of circumstances, but he chose a position of humility. 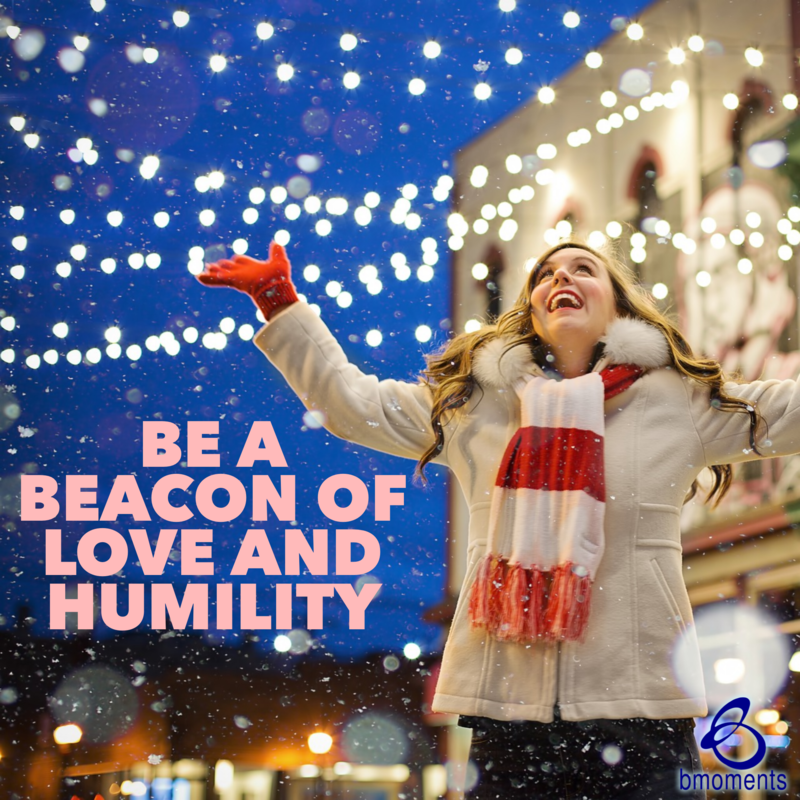 So today, be a beacon of his love, joy, and humility. Thank you sis for your daily dose of blessings ! Our savior was born!!!! Allelulua !!! !